The Manchester-based agency has been tasked with devising a plan to bring awareness of this incredible and unique brand in the city. Barry’s Bootcamp landed in Manchester in November last year. The classes are based on the idea of shocking the body with high intensity interval training (AKA HIIT) and you can burn from between 800-1000 calories in just one class. This is the reason that the "Red Room" has been so hugely successful amongst athletes and A listers alike. With over 20 years experience in creating results, the studio's signature red lighting, specially made Woodway treadmills and a nightclub sound system, the workouts are led by world-class instructors trained to push you further than anything you've ever tried before. For a post-workout recovery Barry’s also provide complimentary towels, premium beauty products, GHD straighteners and hair dryers and a made-to-order (healthy) shake with their very own (delicious!) Hermosa protein. In 1998, LA based celebrity trainer Barry Jay had the idea of a one-stop cardio and strength training workout that actually works. Barry then partnered with John and Rachel Mumford to open the first Barry’s Bootcamp in West Hollywood and the rest is history – with Barry’s Bootcamp has become the de facto home of fitness for many of the World's biggest stars. Lisa Morton, Roland Dransfield’s Managing Director, said: “To launch the New Year with such a big brand win, provides a great start to 2019 for Roland Dransfield. 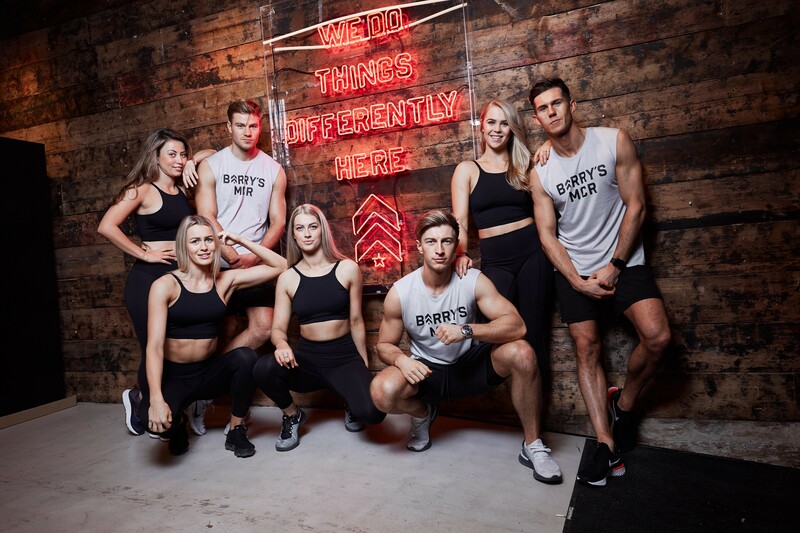 Caroline Koch, Barry’s Bootcamp spokeswoman, said: “We are so pleased to have Roland Dransfield on board to manage PR for the launch of Barry’s Bootcamp in Manchester.